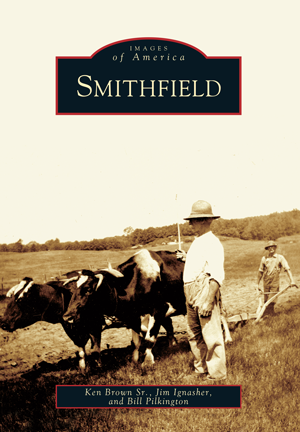 Smithfield was originally part of the "outlands" of Providence. Incorporated in 1730–1731, it is said to be named after Smithfield, England. One of the first settlers was William Hawkins, who in 1663 was granted 50 acres of land by the Providence Town Council in an effort to encourage settlement of the area. From its humble beginning, Smithfield has grown to a sizable community of 20,000 people and boasts a state airport and Bryant University. This book of historical images has been compiled from the archives of the Historical Society of Smithfield and the personal collections of local citizens. Most of these rare images have never been published before and bring a unique perspective to bygone days of the town's history. The authors of this book have backgrounds in public safety and share an enthusiastic interest in local history and historic preservation. Ken Brown Sr., a retired firefighter and a lifelong resident of Smithfield, served 48 years with the Smithfield Fire Department and 32 years as a reserve police officer. Jim Ignasher, a former police officer, enjoys writing about local history and is active with the Historical Society of Smithfield. Bill Pilkington, currently the town's information technology director, grew up in Smithfield and served 23 years with the Smithfield Police Department, where he retired as a detective lieutenant in 1999.